Sheila was born in western Pennsylvania, and studied biology in Massachusetts and California. When she moved to Maryland, she began participating in local art exhibitions, competitions and art associations. She was awarded a first place at the Art League Gallery in Alexandria. Her paintings have won prizes at the Maryland Federation of Art, the Baltimore Watercolor Society’s exhibitions and at many other venues. Her art work has been shown at the offices of Premier Planning Group in Annapolis, the River Gallery in Galesville, St. Johns College, Quiet Waters Gallery, Anne Arundel Community College, the Pittsburgh Watercolor Society’s Aqueous Open, the International Society of Acrylic Painter’s Exhibition in Santa Cruz, California, the Pennsylvania Watercolor Society and many other locations. 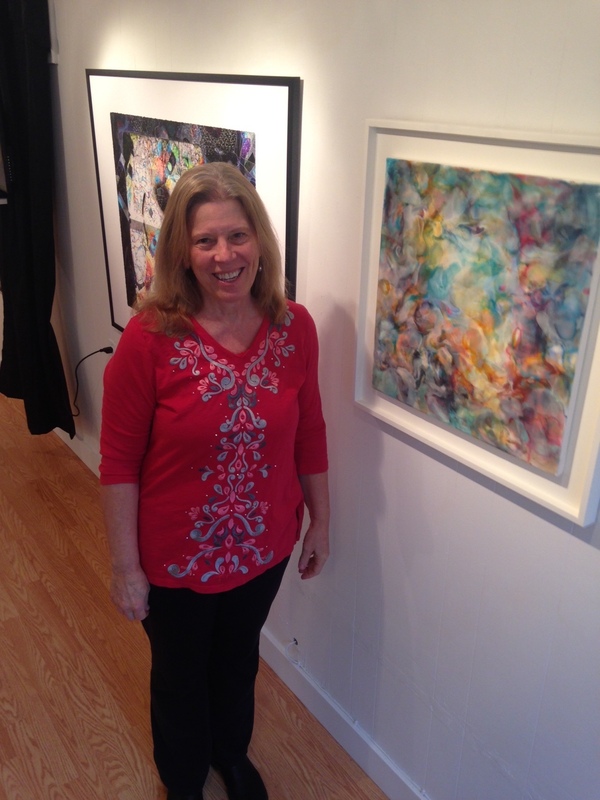 Sheila has co-owned an art gallery in Baltimore and has been a member of several artist-owned galleries. Since moving to Gresham, OR, Sheila has participated in the City of Gresham and Oregon Society of Artists exhibitions, exhibited solo at Providence Portland Medical Center and will have a solo show at Hood River’s Columbia Center for the Arts in July 2017. She is also a member of the Three Rivers Aritst Guild in Oregon City and the Left Coast Artists Collective. Sheila usually works with water media on a variety of supports. Recently she’s been using mixed media including acrylics and watercolor crayons to create non-representational pieces. She’s also been working with encaustic media. Sheila’s painting goal is to devise compositions that are original and exciting. Her work can be viewed online and she can be contacted at www.sheiladelaquil.com. .